Rio Tinto chief executive Jean-Sebastian Jacques said Wednesday an ongoing border dispute with China over copper exports from Mongolia, which directly affects its massive Oyu Tolgoi mine, will be resolved quickly. Referring to his previous dealings with the Mongolian government Jacques told The Telegraph he had become used to "such bumps in the road". "Each time we would work with the authorities and each time it was resolved. I've no doubt it will be resolved this time," he added. Rio’s CEO comments come as the company had to suspend shipments from the Mongolian mine last week, following a decision by a Chinese border town to increase transport surcharges. Rio’s CEO comments come as the company had to suspend shipments from the Mongolian mine last week, following a decision by a Chinese border town, deep in the Gobi desert, to increase transport surcharges. Analysts linked the move to a visit to Mongolia by the Dalai Lama, the Tibetan spiritual leader who is not recognized by Chinese authorities. As a result, Canada’s Turquoise Hill Resources, which is 51% owned by Rio and owns two-thirds of Oyu Tolgoi, said last week that it had suspended cargos to the Chinese border. The company quoted a new obligation to use "one joint coal and concentrate crossing route" as the reason and said such requirement had led to "safety and security concerns as well as unreasonably long waiting times". 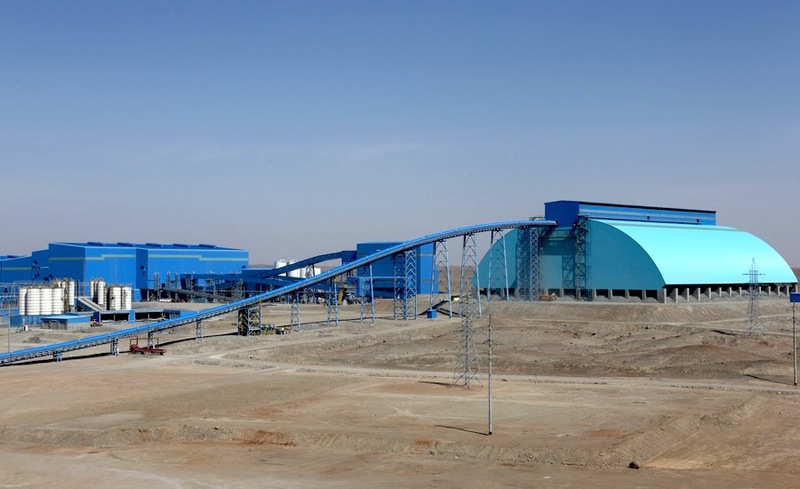 Rio Tinto approved in May a $5.3 billion expansion of Oyu Tolgoi, one of the world's largest copper mines and a key component of the company’s master plan to become less dependent on iron ore for profits and become one of the world’s biggest copper producers. The planned expansion, with its nearly 200 km (125 miles) of underground tunnels that will track three times as deep as the Empire State Building is tall, will more than double the copper output from Oyu Tolgoi, which is mostly sent south to China, the world’s main metals consumer. It is also expected to help Rio and Turquoise Hill get to the most valuable part of the deposit, which also contains gold and silver, and where there has been a open pit mine running since 2013. First production from the extended underground area is expected by 2020, when a shortage of copper is tipped to emerge. Full ramp up, with an estimated 560,000 tonnes of copper per year, along with gold and silver by-products, is slated for 2027.